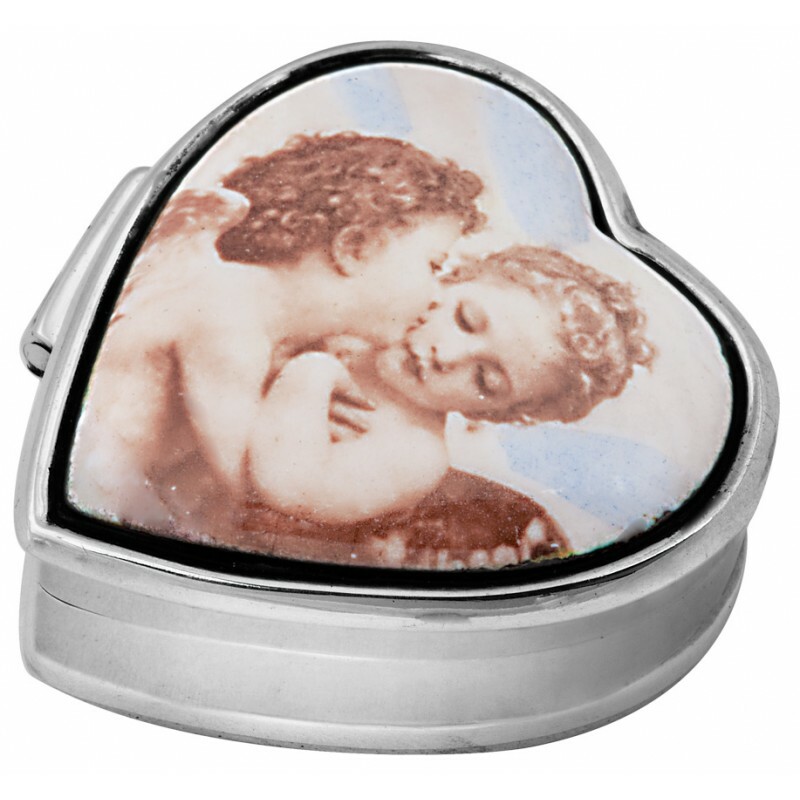 Shaped in a heart design, this Cherub picture pill box is finely crafted to the highest standard from sterling silver with a gorgeous vibrant enamel topped lid. Inspired by the Art Nouveau period, the cherub picture on the lid is an eye-catching design feature. Perfect for keeping your pills safe and a wonderful gift idea, this pill box can also be personalised with an engraving of your choice to make it unique.